Extract taken from the Five Decades exhibition catalogue. Reproduced with kind permission of the Art Gallery NSW. 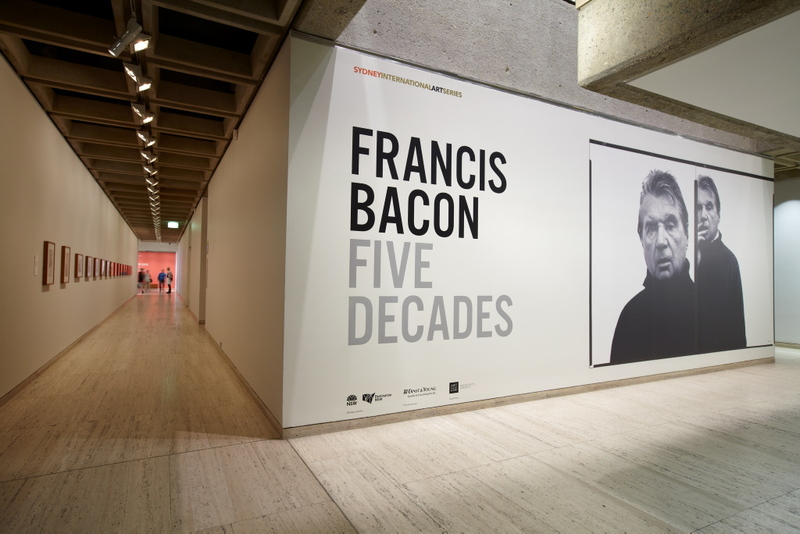 In 2012, twenty years after Bacon’s death, our understanding of this exceptional artist’s contribution to the history of art has benefited from new research that provides a more complex picture than was possible in his lifetime. Bacon was very particular about how his work should be interpreted and with the help of his interviewers, most notably the English art historian David Sylvester, he created a compelling legend around the convulsive nature of his creativity. Bacon changed his story from time to time and while there is a consistent thread, selective quotes can be misleading and contradictory. The legend perpetuated by Sylvester informed the French philosopher Gilles Deleuze’s 1981 book Francis Bacon: Logique de la Sensation (The Logic of Sensation), thereby locking it more firmly into our collective imagination. The convulsive act is certainly represented in Bacon’s paintings but in some ways it is just that: a representation of an act. This is what he wanted us to experience but he knew exactly how to create this sense of spontaneity. However, this knowledge certainly did not remove the element of chance that Bacon prized and sought to introduce into his method. He was, after all, an inveterate gambler, often risking everything on an outside bet at the casino, as well as in his art. When all the analysis and connections to sources are done, Bacon will remain as a giant among artists, his life’s work never able to be explained away. I suspect that like Duchamp’s legacy, Bacon’s imagery will continue to be re-interpreted and discoveries made and contradicted for generations to come—not just because of the strange ambiguities woven into every canvas but simply because his talent exceeds even his own ambition. Bacon said that he wanted to be able to hang alongside the Old Masters in the National Gallery in London—or why bother to make art at all? The remarkable 2011 exhibition, Caravaggio Bacon, at the Galleria Borghese in Rome, would have pleased him immensely.